Secondary oil recovery continues to expand globally in the quest for greater production from fields with heavy oil deposits. Fives is well positioned to address the needs with a line of high efficiency combustion systems, offering a range of low emissions solutions. Today’s increased demand for oil and petroleum byproducts along with a decline in production of more easily produced light oil is causing a gradual shift of production to heavy oil deposits worldwide that require targeted Enhanced Oil Recovery (EOR) to capture. 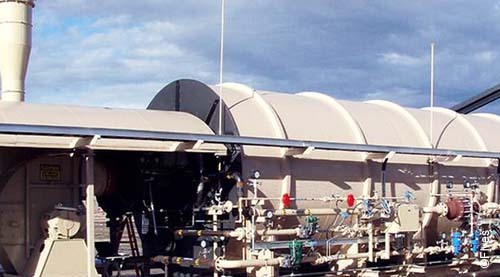 The EOR technology of choice for production of these heavy oil deposits continues to be thermal EOR utilizing down hole steam injection from the firing of once through steam generators (OTSG). With an increase of concern for emissions from these OTSG’s, the producers are driven to offer systems with the lowest emissions and highest thermal efficiency practical for their specific operations. Fives has risen to the demand for varying levels of combustion system sophistication, steam generator size variability, and localized emission requirements by developing a variety of value added combustion systems for use on steam generators, heater treaters and line heaters that meet the specific market needs of heavy oil production fields worldwide. Fives brings its expertise and services to supply tailor-made solutions and ensure an optimal performance and improved availability of the combustion process. Fives has over 50 years of process experience and offers a wide range of combustion technologies for the oil field market to accommodate the various capacity and emission demands worldwide. These include ultra-low NOx emission systems without FGR, and systems capable of burning all oil field process gases and fuel oils. To ensure performance and availability all along the process, Fives offers sophisticated control logic as well as pre-piped fuel handling systems and instrumentation that insure compliant operation and unnecessary shutdowns. Engineering services are available to match heat release patterns to generator designs insuring optimal heat transfer.